Cepal is the leading independent Greek NPL Servicer, pioneering advanced debt servicing methods and bringing innovative and sustainable solutions to both clients and borrowers. Cepal received the first Servicing license issued by the Bank of Greece. Starting operations in 2017, it now employs a workforce of 250 employees and services over €8Bln of secured and unsecured retail, SBL and SME loans on behalf of both Greek banks and international investors. 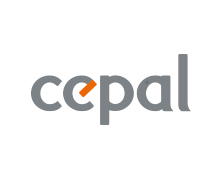 Cepal’s vision is to mark a new era in the evolution of the NPL secondary market in Greece by enabling effective and efficient receivables servicing, combining sophisticated know-how and analytics and leading performance, while always maintaining and promoting the highest care of conduct and ethics. 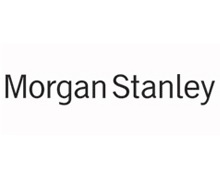 Morgan Stanley has earned a worldwide reputation for the excellence of its advice and execution in financial markets. With offices in more than 42 countries, the Firm is truly global - and a market leader in the U.S., Europe and Asia as well as in emerging markets. Morgan Stanley's success rests on the talents and passion of our people, who share a common set of values and bring excellence and integrity to everything they do. We seek to grow long-term relationships by virtue of our consistently rigorous thinking and the unsurpassed access to financial markets that Morgan Stanley can bring. This means providing leadership in specific areas such as investment banking, debt and equity underwriting, research, and sales and trading. We also focus increasingly on creating custom-tailored solutions that cut across functions to help our clients realize new opportunities and solve complex problems. Our aim is to be the first choice of everyone who deals in financial markets, whether as prospective clients, employees or investors. 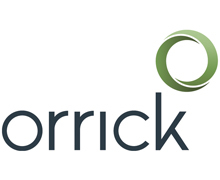 Orrick is a global law firm focused on serving the technology, energy & infrastructure and finance sectors. Structured as one team, our lawyers work across 25+ markets in Europe, the United States, Asia and Africa, and we serve Latin America primarily from our office in Houston. Our Structured Finance team advises issuers, lenders, underwriters and investors involved in securitizations and in other structured products globally. 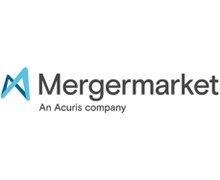 The team is consistently ranked among the top issuers’ and underwriters’ counsel in the U.S. ABS, CMBS and RMBS markets. Our European practice is at the center of regulatory change in the European banking markets. We’re ranked Tier 1 for Structured Finance and Derivatives in France by Legal 500 2017, and we’ve been recognized as the #1 firm for nonperforming loan securitizations in Italy for the past two years by Legalcommunity. We innovate not only in our legal advice but also in the way we deliver legal services. In recognition of our work, Financial Times named us #1 on their list of the most innovative law firms in North America in 2017 for an unprecedented second year in a row. To find out more, visit us at orrick.com. B2H was established in its current form in November 2011, and B2H Group has since then grown rapidly to a Pan-European debt purchaser and collector covering 20 markets. B2H is listed on the Oslo Stock Exchange (B2H) with long term strategic shareholders supporting B2H expansion. B2H belongs to the top 10 players in Europe with presence in 23 countries. As of today, with more than 2.000 portfolios acquired with 7 ΜΜ claims, B2H is considered a strategic partner for many vendors such as financial institutions as well as utility companies confirming our ability to act quickly and create value from complex situations. South East Europe is one of the strongest and most promising regions of B2H Group. All the companies in the region hold a leading position in their local market. 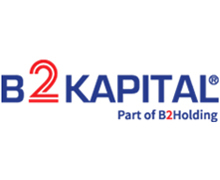 In November 2016, in line with B2H growth strategy and to seize market opportunities, B2H has set up B2Kapital Greece, a fully owned subsidiary. B2Kapital Greece has recently originated two retail portfolios from major Greek Banks for the B2H Group through co-investments with Waterfall Asset Management ($7.3 bn AuM) and the EBRD. These Joint Ventures (JVs) demonstrate the ability of B2H in general and B2K to attract Top Tier investors. At present B2H is one of the most active investors in the market and has originated completed transactions which amount to close to €200 mln. 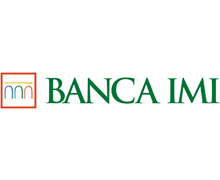 As Intesa Sanpaolo's investment bank, Banca IMI is part of Italy's leading banking group whose network also includes a major international presence. Employing the expertise and skills of more than 850 professionals, Banca IMI is active in investment banking, structured finance and capital markets, operating in the main national and international markets, through offices in Milan, a London branch, and a subsidiary, Banca IMI Securities Corporation, based in New York. Banca IMI provides a large range of financial products and solutions and has a strong finance and securities trading activity. It structures risk management products for companies, institutional investors and local authorities and assists client companies in the raising of venture and debt capital, providing also financial consultancy solutions. Banca IMI originates, structures and distributes securitisations, ABCP conduit and asset-based financing transactions across all asset classes and covered bond programmes on behalf of financial institutions and European corporate clients. During recent years Banca IMI has become market leader in Italy for disposals of non-performing loan portfolios, in particular via securitisation with government guaranteed schemes. It also provides secondary market expertise managing ABS, MBS, CDO & Covered Bond trading books for the benefit of Banca IMI's broad institutional investor base across Europe & North America. 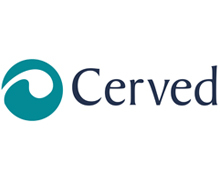 Cerved is the italian Data-Driven Company. We give businesses and institutions the data to guide their decisions, the tools to understand it and a team of people to turn it into action. We provide credit information, marketing and credit management services, as well as counting one of the leading European rating agencies within our group. 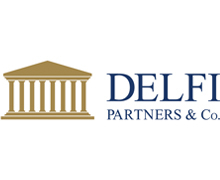 Delfi Partners & Company is a boutique investment banking and real estate asset management & workout practice. 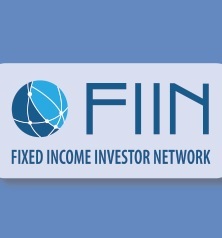 We specialise in providing value-enhancing strategies for financial institutions, investors and fund managers who are seeking to optimise their portfolios, bringing substantial know-how and a unique combination of investment banking experience, real estate asset management and optimisation services for large non-performing loan and REO portfolios. Delfi has one of the largest NPL and real estate data analytics platform in the region, assisting customers to benchmark and understand their asset base creating value-added strategies for asset/ portfolio management and disposals. Our expert teams consist of experienced bankers, quantitative analysts, senior asset managers, real estate valuers, engineers and legal/ accounting staff; all with extensive experience in recovery and asset management throughout European markets. We are active across Europe, SEE and the MENA region with dedicated teams in Cyprus, Greece, Lebanon, Jordan and the UK. The Deloitte Portfolio Lead Advisory Services (PLAS) team are recognised leaders in European and global loan portfolio advisory projects. We are the most active loan portfolio advisor in the market, and have advised on loan portfolio transactions and completed deleveraging projects covering over €560bn of assets across all major asset classes and jurisdictions. We provide end-to-end advisory services to both buyers and sellers of loan portfolios; from strategy and preparation to sales execution, including strategic options analysis, portfolio optimisation, data analytics, portfolio pricing, asset migration and operational wind down. 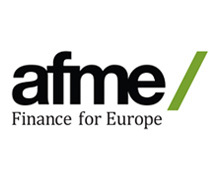 We also advise financial institutions on non‑core exposures, gaining an outstanding market reputation in global advisory projects covering deleveraging, specialised loan portfolio servicing, operational transformations and bad bank establishment. Our core senior team has advised governments, financial institutions, regulatory authorities, and global private equity firms on deleveraging and loan portfolio transactions across every major asset class. 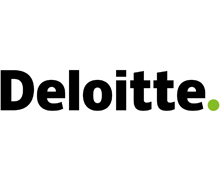 We bring a wealth of advisory, principal investment and banking expertise, with a dedicated network of over 150 professionals across Europe, and extensive resource and expertise from across the Deloitte global network of member firms, giving us unrivalled insight and understanding of local regulators and markets, and with best-in-class transaction expertise. Eurobank FPS accumulates the experience and expertise of over 12 years in remedial management, with special focus on retail portfolios. 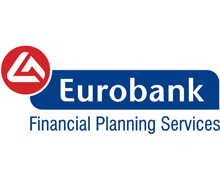 Eurobank FPS is already operational in the servicing industry with a team of c.700 employees, maintaining premises in Athens and Thessaloniki. The portfolios under management exceed the €23BN and consist of both secured and unsecured assets across all retail asset types of consumer, mortgage and small business loans, as well as SME loans. Eurobank FPS is servicing portfolios owned by both regulated and non-regulated institutions. For over 150 years, HSBC has been where the growth is, connecting customers to opportunities. As one of the world’s largest financial institutions, we are well established in key geographies and operate across a large number of the world’s most important trade corridors. 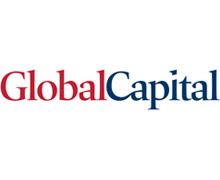 Our network covers countries accounting for more than 90% of global GDP, trade and capital flows with more than 45% of our client revenues being derived from businesses and individuals with an international presence. Our priority markets cover both sides of 11 of the world’s 15 largest trade corridors for goods and services forecast for 2030 and represent at least one side of the other four corridors. 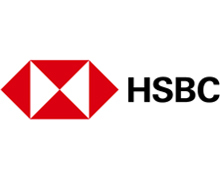 With assets of US$2,603bn at 30 September 2018, HSBC is one of the world’s largest banking and financial services organisations. In Greece, HSBC operates since 1981 with presence in Athens and Thessaloniki with 15 branches. HSBC France Athens Branch offers banking and investment services to individuals as well as to corporate and institutional clients. 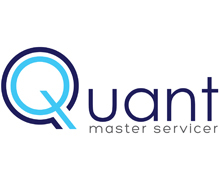 Qquant Master Servicer S.A. (Quant) is a servicer licensed by the Bank of Greece offering end2end Debt Portfolio Management. The Quant team of professionals draws on its rich experience in Greek retail and wholesale NPL management and employs cutting edge financial technology, tested in Greek market realities, to design and apply debt management strategies covering all asset classes. Quant’s tested network of selected best in class DCAs and legal offices ensures optimum implementation. Contact us at info@qquant.gr or +30 216 000 2000 to find out more on how Quant can help your institution meet its debt management objectives in Greece. 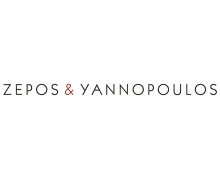 Zepos and Yannopoulos is a leading Greek law firm renowned for its long heritage, legal acumen and integrity. We have a strong international orientation which is echoed in our structure, standards and approach, and ultimately attested in the profile of our client base, our rankings and the network of our affiliations and best-friend law firms around the world. We take pride in our distinctive mind-set and our offering as a full service business law firm, marked by our responsiveness and the ability to draw upon a second to none bench of tax and accounting specialists. 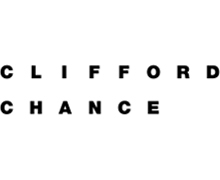 Our firm counts multidisciplinary resources of more than 150 talented professionals and is top ranked in the world’s leading legal directories, including Chambers Global, The Legal 500 EMEA and IFLR 1000. 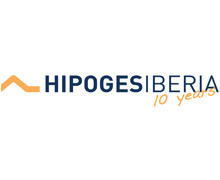 Founded in 2008, HipoGes is one of the leading Asset Management platforms in Southern Europe for distressed assets with more than €18 billion of assets under management. The company manages a very broad spectrum of assets including: residential mortgages, corporate and SME loans, commercial real estate, unsecured loans, government & corporate receivables, and REO portfolios. The services are provided along the whole investment cycle: (i) due diligence & pricing advisory, (ii) closing & structuring, (iii) loan servicing / legal enforcement, (iv) real estate management, disposal strategy, (v) reporting & portfolio management customized for each specific client. Senior management at Hipoges has extensive experience in banking and investing in the distressed space of different jurisdictions. In addition, the team has appraised and analyzed credit and Real Estate assets in more than 250 transactions over the past years. This experience allows Hipoges to have a client-base consisting of some of largest investment funds in the world and multinational financial institutions. With offices in Spain, Portugal, Greece and Italy and circa 410 employees, HipoGes is ranked “Above Average” as residential mortgage special servicer and “Average” as commercial real estate special servicer, both assigned by Standard & Poor’s. 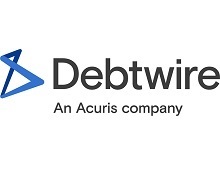 - Promoting the reliability of the debt management industry. 2. Establish itself as the principal institutional representative of the debt management sector, in the ongoing dialogue among the stakeholders of the industry, including representatives of the government and members of business and social bodies. ESEDA sees to educate the authorities and the public on debt management issues, and protect the collective interests of its members with regards to its institutional role, general commercial aspects and activities related to debt management. 3. Provide the employees of its members with further and continuous education or training, so as to encourage adherence to highly professional standards and pave the path for long term career development. 4. Monitor and update relevant business practices, so as to ensure the total protection of consumers’ rights. 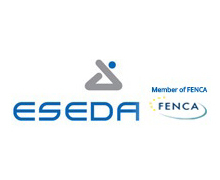 Within an economic environment that appears to be complex, unstable and vulnerable, the role of ESEDA is critical on many different aspects: ESEDA is the body which pursues the establishment of strict criteria and rules not only with regards to the operation of debt management companies, but also with regards to the monitoring and supervision of their service level and the training of their staff. Most importantly, ESEDA may act as a safety valve which can reduce the pressure on the consumers and help them avoid lengthy and costly legal battles. Finally, part of ESEDA’s role is to attest, by means of clearly defined procedures and controls, that its member companies uphold all the relevant international standards. 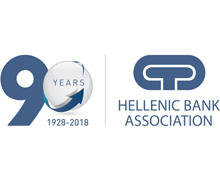 promote the Greek banking and financial system and to contribute to the development of the Greek economy, protect and represent the interests and rights of its member banks, and undertake the amicable and out-of-court settlement of disputes between its member banks and parties in transaction therewith. 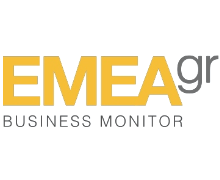 The EMEA.gr (EMEA Business Monitor) is an innovative business portal that covers Europe, the Middle East and Africa, with a focus on Southeast Europe and the markets where Greek businesses operate, opening new avenues for business and financial news reality. A portal that opens its online pages to cover, for the first time, major international destinations of Greek businesses that are considered leaders in their field. At the same time, it informs about what is happening in the domestic economic, political and social field. At a time when Greece is the starting point for policy development in both Southeastern and Middle East countries, EMEA Business Monitor ( www.EMEA.gr ) will be the driving force for information and recording of new business data in all sectors. In this context, EMEA Business Monitor ( www.EMEA.gr ) adopts a professional, valid and timely approach, providing its readers - both in Greece and in the countries of Southeastern Europe and the Middle East - a wealth of global and multi-faceted information for all sectors of business information. SCI is a specialist publisher of news, data and analysis on all aspects of the structured credit and ABS markets globally.